Do you have a thirst for adventure? Is your middle name danger? Do you just like treasure? Form a party of adventurers to help you be victorious! The more members of each class you have, the greater the bonus they'll give you-but be careful; your opponents might try to poach your party members! Cards and rules are taken from the award winning, critical acclaimed, and Kennerspiel des Jahres Recommended Guildhall Old World Economy and Guildhall Job Faire releases. New fantasy theme and new profession art from Gunship Revolution. 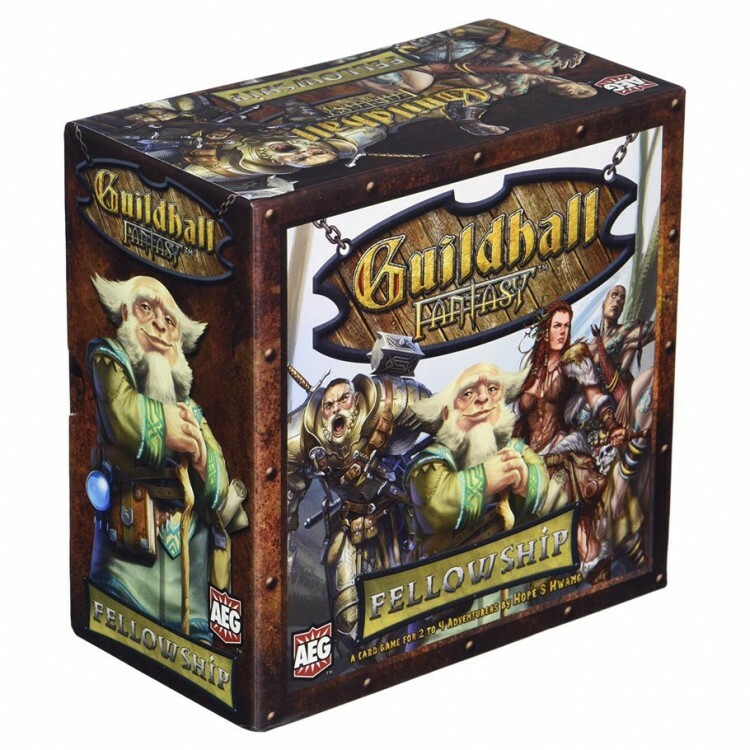 Third set, in the Guildhall: Fantasy set; each released one month after the other. Releases may be combined and played together in one big Mega Saga deck or different Professions may be combined to create custom play experiences, including the original Old World Economy and Job Faire releases. Great card game mechanics allow for card combos and tactical decision making. Reduced price point from previous releases.